The time between snowboarding trips was over 10 years. Every year I thought about going snowboarding but as one year became 5 then 10 I had, without realizing it, given up on the idea of hitting the fresh powder again. Along came this amazing woman, who keeps me connected to my heart’s true passions and makes sure those passions are grounded in reality. She put a lot of work into making my wish of snowboarding again come true. Our marriage is often a picture of Lee Anne serving me without words and in doing so preaching the gospel of His love for me: sacrificial and subtle yet overwhelming. 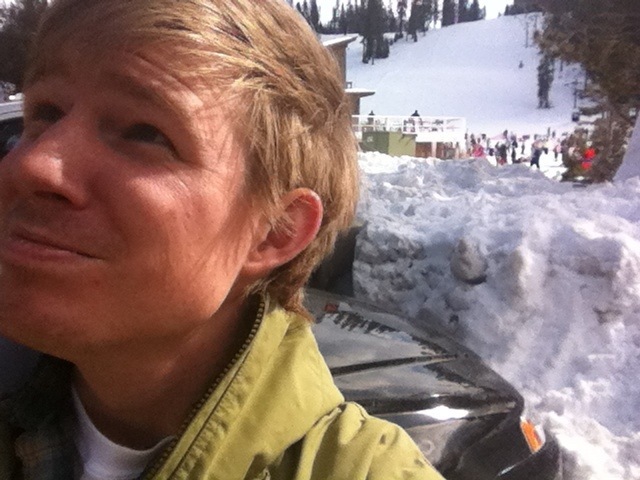 When looking for a wife, I often thought I wanted the girl in my first snowboarding experience. She was fun and flirty and a bit fickle. Something about that sense of carefree lack of commitment was intoxicating to me as a 13 year old boy/man. We danced around the idea of being a couple for months before the snow season began and that night, the night I would break my wrist, was filled with romantic moments and long silences. A wife is first a helpmate. Life is difficult, a man needs more than “fun” to make it through without the scars of failed endeavors. He needs support and a sounding board and skills that match and enhance his, for the purpose of expanding the Community of Love. Marriage is under attack here in the States because marriage solves many of the problems companies want to solve with products and services. The selfless act of creating both the opportunity to go snowboarding and the encouragement to fully enjoy it, even without her presence, was just one more time I realized that she is the one who will walk the hard roads with me. And the snowboarding this time? No broken bones or broken bones, just the most amazing snow experience I’ve had in 10 years.